This warning is recorded because Windows is configured to "register" its IP addresses in DNS - and the DNS server responsible for the computer's host name does not accept dynamic updates for that name from the computer's IP current address. 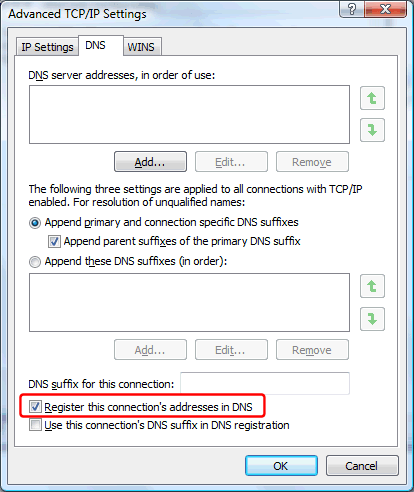 To configure Simple DNS Plus to accept the "registration", you must enable standard dynamic updates for the zone that the client computer's host name belongs to. 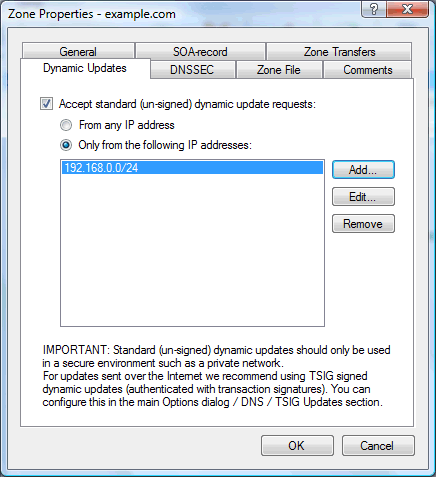 Make sure to only allow standard dynamic updates from trusted IP addresses.